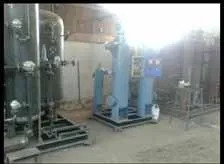 Established in the year 2003, "AIR-TECH ENGINEERS" is a reliable and renowned manufacturer, supplier and exporter of a Air and Gas Equipments like Nitrogen Gas Generator, Oxygen Gas Generator, Ammonia Cracker and Air & Gas Dryers. 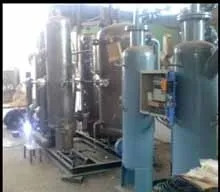 All these equipments are based on advanced technologies and innovative techniques. These are ideal to be used in a number of demanding applications across the globe in various sectors. Further, our experienced production and quality control departments work together to ensure that our equipment are manufactured as per highest international quality standards and are in adherence with various industry norms and regulations. Being a customer-oriented company, we are completely driven towards fulfilling all the needs of our clients and ensuring complete customer satisfaction. Supported by a team of technically skilled workforce and advanced manufacturing capabilities, we have been able to create a niche for ourselves in the global market by offering world-class quality products and services. We have been able to ensure timely delivery of all the consignments to our customers without making any kind of compromise on quality and performance, owing to our strong infrastructure unit. Our expansive and spacious manufacturing unit is well-equipped with latest technology and advanced machines. The unit is manned and managed by our team of skilled and experienced professionals, who ensure that all the activities are carried out as per laid down industry standards. They also make sure that all the machines are properly maintained and lubricated properly on regular intervals for ensuring a rapid rate of production. Principles such as Integrity, Commitment, Passion, Seamlessness and Speed are ingrained in the fabric of the organization. With a strong customer-focused approach and incessant hunger for top-class quality, we have been able to attain and sustain leadership across the national and international markets. 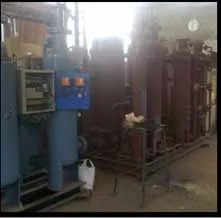 We are a well known manufacturer, supplier and exporter of a wide range of industrial machines and spares, which are known for providing accurate and prompt results, while ensuring efficient and trouble free operations. Additionally, we also offer Annual Maintenance Contract Services for all the machines and equipment offered by us. 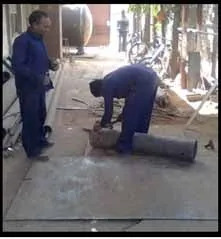 All our services are rendered by diligent and technically skilled workforce. We are proud to be supported by a team of skilled and qualified professionals, who have dedicated themselves towards providing customers with flawless and unparallelled quality products and services. With ample industry experience and domain expertise, they work together as a united team to leverage on their united strengths and perform to the best of their abilities. They interact with the customers on regular basis to keep them well informed regarding the status of their consignments and to provide them with any necessary assistance. Further, to ensure that all our products and services are at par with the changing market trends and technical advancements, we provide ample trainings on regular intervals. Air-Tech has integrated its strengths in basic and detailed engineering, equipment fabrication, procurement, project management, erection and commissioning, to offer single-point responsibility against stringent delivery schedules. Air-Tech's core competencies in engineering include experienced personnel.